There are some theories that make so much sense – that provide such elucidation on a topic – that it’s as though they’ve always existed. They almost feel obvious. Of course, this is never actually the case – it takes that one person to make the discovery and put pen to paper in the first place. Endogenous growth theory is a fine example of that. 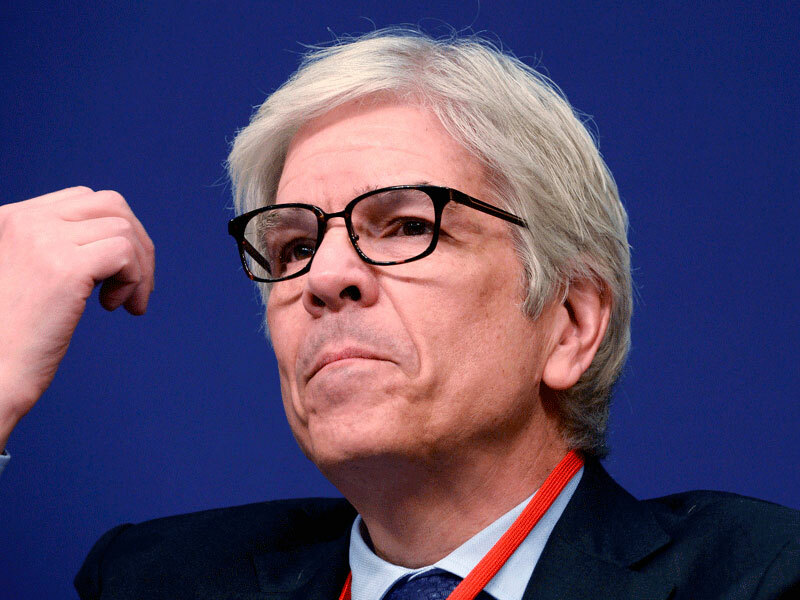 The man behind it, Professor Paul Romer, is the latest winner of the Nobel Prize in Economic Sciences. He won the prestigious award alongside fellow economist Professor William Nordhaus. The pair received the SEK 9m ($1m) prize for integrating technological innovation and climate change into macroeconomic analysis – Romer being responsible for the former, Nordhaus for the latter. First published in 1990, Romer’s work contrasts with neoclassical growth theories that argue that factors affecting growth are exogenous – or, in other words, factors that occur outside of an economy. As internal forces cannot influence growth – nor technological progress, for that matter – the work of policymakers essentially becomes ineffective. Governments keen to ignite growth may seek solutions such as tax cuts and investment subsidies. But the process of capital deepening (increasing capital per worker) eventually leads to diminishing returns. To put it simply, giving an employee a second computer does not double their output. This long-standing theory can be attributed to Robert Solow’s 1956 paper A Contribution to the Theory of Economic Growth, which saw him win a Nobel Prize in 1987. Though previous theories highlighted the importance of technological innovation as a primary driver for growth, Solow and others did not take into account how market conditions and economic decisions affect the creation of new technology in the first place. Neither did Solow manage to explain how technological progress could be accelerated. Romer’s work, however, resolves this problem by demonstrating that internal factors can indeed influence the willingness of governments and companies to invest in innovation, which in turn drives economic growth. At the heart of endogenous growth theory are people, as they best drive growth through new ideas. As Kugler told World Finance: “Knowledge is the basis of economic growth through the ongoing introduction of productivity-enhancing general-purpose technologies (e.g. electricity, personal computers, the internet, smartphones, robots, etc. ).” The enhancement of human capital is therefore key for the pursuit of technical knowledge to drive sustainable, long-term economic growth. Essentially, governmental policies can raise competition, which in turn spurs further innovation and accelerates economic growth as a result. Encouraging entrepreneurship also has the added benefit of prompting job creation and further investment. Economies have managed to maintain accelerated growth over time, in part due to population growth. Simply, there are more people participating in “discovery activity” (as Romer puts it). More important, however, are the changes in institutions, such as universities, patent laws and research grants, which create more incentives for individuals to make discoveries. When economies keep adding more of the same – or, in other words, they keep investing in physical capital – they may encourage growth for a period, but they soon run into diminishing returns. This is why it is crucial to continue discovering new ideas. The next question, though is whether this is possible – with more ideas, does it become easier to continue discovering, or harder? And this is the best bit: according to endogenous growth theory, ideas are non-rivalry. “As we learn more, it’s getting easier to discover new things, so somehow knowledge is building on itself,” Romer told Roberts. Ideas are different to material goods in many ways. They do not require specific conditions in order to thrive in the market. Neither do new ideas suffer from diminishing returns – in fact, they enjoy increasing returns to scale. Though expensive to produce at first, they are cheap, or even costless, to reproduce countless times. The stats show this theory in action. According to a 2016 study by the World Bank, for every 10 percent increase in broadband speed, GDP growth increases by 1.38 percent in developing countries, and by 1.21 percent in developed economies. As this example shows, creating an environment in which innovation is encouraged can have untold consequences for an economy and the society that lives within it. Whether it’s developing new medicines, creating new technology to reduce our carbon footprint or improving communication systems, Romer says, we can solve the world’s biggest problems at an accelerated pace using endogenous growth theory. As explained by Kugler, this will require collective action in the form of multiple players advocating R&D, creating incentives, investing in people and innovation, paying good wages, providing education for all, and sharing discoveries, all the while maintaining competitive, well-regulated markets. In such a space, ideas can flourish – and, as a result, so can we all.